Welcome to the Members area of ​​Afnic! Membership is not connected to obtaining a domain name and is not mandatory to register a domain name or to become a registrar. 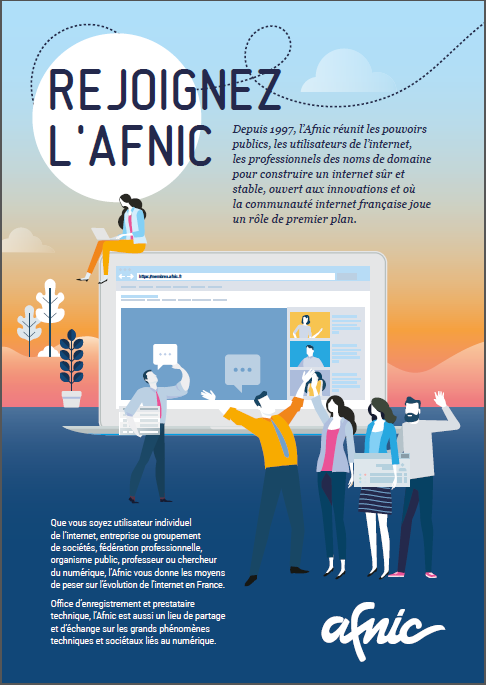 In order to process your message via this form, information is collected and then subject to computer processing for the French Network Information Center (Afnic) in order to manage members. The recipient of the data is Afnic, as the data controller. The data are deleted 6 months after the last exchange. You have personal rights, namely the right to access, oppose, rectify and delete data, the right to limit the processing thereof, the right to lodge a complaint with a supervisory authority and the right to define guidelines for the retention, deletion and disclosure of your personal data in case of death. Personal rights may be exercised by contacting the Afnic Data Protection Officer (DPO) at juridique@afnic.fr. Access to all the information about the processing of Your data.